I realize that these very few and far between classic diner posts may just look like an excuse to post even more pictures of Damian. Eh, you may be right. 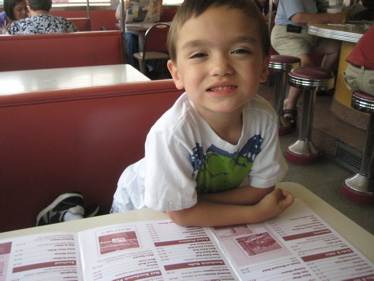 So far I’m two for two in diner experiences as far as Damian being well-behaved and not having a tantrum. In fact, at Zip’s, he was exemplary. He even tried to order his lunch himself (not so easy for a nearly non-verbal special needs kid). This was one proud papa. Zips is a classic O’Mahoney diner that I’m sure was in a great location when it popped up nearly 60 years ago. Since then, it is now surrounded by ugly box stores, fast food chains, and gas stations. 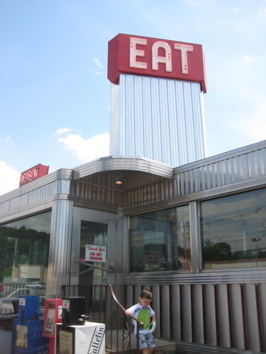 But its iconic neon “EAT” sign stands tall and proud, just off of I-395, by far my favorite interstate in Connecticut (always traffic free, unlike the others). First things first: the name Zip was the nickname of retired Connecticut state trooper Henry Zehrer. Zip started in the diner business in 1946 in Danielson, CT. The original diner was located on Route 6 between the Powdrell & Alexander Mill and what is today the Danielson post office. The diner operated until 1954 when Zehrer purchased a brand new O’Mahoney diner and had it shipped up north from Elizabeth, New Jersey. The new diner also had a new location, its current location. When the new diner opened in its new location in Dayville on Memorial Day weekend in 1954 it was run by a young Conrad and Olive Jodoin. The Jodoins purchased the diner from the Zehrers in 1960. Over the following years it became a true family business with help from their children. Tom, Nancy, James, and Robert all had a hand in running the business, and in 1980 the diner began its second generation of ownership under Tom Jodoin with brothers Robert and James running the kitchen. 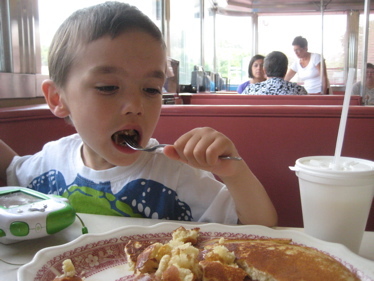 Today the diner is now on its third generation of family ownership. Kevin Cole (Nancy’s son, Tom’s nephew) purchased the diner from Tom in early 2010, with Robert still running the kitchen. The classic 50’s diner has a lot of history and has served customers from around the world. We’ve fed many famous customers as well as a few infamous customers. Among the celebrities to pass through Zip’s are Liberace, Alec Baldwin, Kim Basinger, Brian Dennehy, and Renee Zellweger. We’ve also seen our share of athletes. Ted Williams and Joe DiMaggio would stop in on the way to see sculptor Armand Lamontagne . We’ve also served Carl Yazstremski and can count current boxing champ Peter Manfredo,Jr. as a regular customer. We at Zip’s have always prided ourselves in keeping a very clean establishment with fast and friendly service, a tradition passed from generation to generation. We hope you enjoy your experience as much as we enjoy serving you. The weird part of the above is that they never mentioned Zippy the Pinhead. The long-running comic has often featured the diner – and the shared name is merely coincidence. Zippy’s creator, Bill Griffith, moved to East Haddam from San Francisco, happened upon the diner and found it impossible to ignore in his strip. Also, the bestselling author J.A. 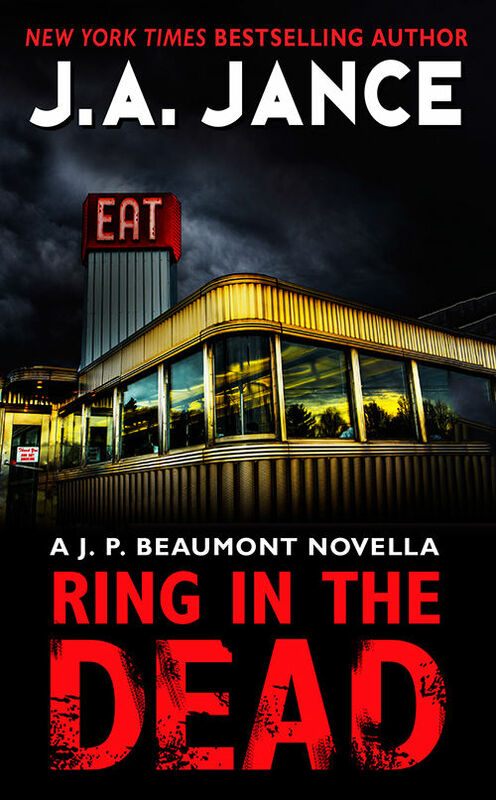 Jance has featured the diner on one of her book covers. Oddly, she was born in South Dakota, brought up in Arizona, and now lives with her husband in Seattle, Washington, and Tucson, Arizona. How Zip’s in Killingly made it to one of her covers is beyond me. Bottom line: Zip’s is great. 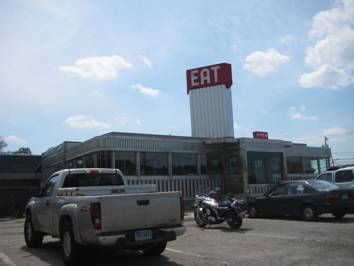 It is definitely one of Connecticut’s most iconic diners… super clean, polite and fast service and very respectable food. Damian plowed through his 2 giant pancakes (and futzed with the little tabletop jukebox thing) while I polished off my sandwich. I think our grand total was like 15 bucks (including tip) and we were back on the highway in one minute. So, if you ever find yourself hungry in northeastern Connecticut (and/or if you’re on your way to or from the Rhode Island highpoint like we were, do yourself a favor and forgo the gross fast food places and hit up Zip’s. 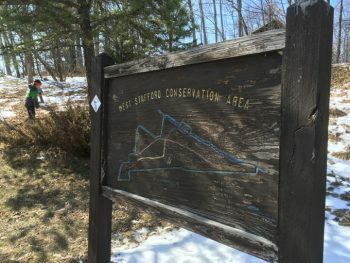 I noticed the large photos of Lake Alexander were not mentioned in this article. I love looking at them every time I stop at Zips. Someone also illustrated a children’s book with pictures of Zips in it. Cindy, do you know the name of the book?? I had it as a kid but I can remember for the life of me, the name. I really want to get it for my son!